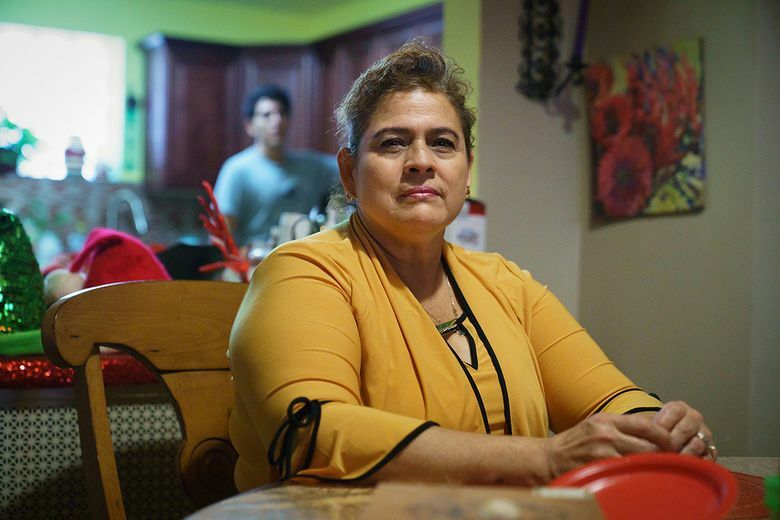 For the first time in her 20-year career cleaning houses in Philadelphia, Maria Del Carmen Diaz will soon be able to take a paid day off. Diaz, a mother of three in her 50s who left her home and her telecom job near the Gulf of Mexico for the United States in 1996, described it as a welcome benefit in a job that does not have many. No healthcare, no retirement fund, no contracts — which means that if a client pays her weeks late or cancels last-minute, which they do, she said, she has no recourse. But paid time off is a step in the right direction, Diaz said in Spanish through an interpreter. And she’s able to get it because of a new app from the National Domestic Workers Alliance (NDWA), called Alia. But domestic work has long been left out of worker protection laws, like the National Labor Relations Act of 1935 and the Fair Labor Standards Act of 1938, as domestic work — often not seen as “real work” — has largely been taken on by marginalized women of color. A growing movement, led by NDWA, has fought to change this: New York state, California, and Seattle have all passed a “Domestic Worker Bill of Rights,” and a similar federal bill was introduced in November. But if Alia is successful, it could reverberate across many industries. NDWA and others who study domestic work like to say that domestic workers were the original “gig” workers, which makes them especially instructive at a time when 1 in 5 jobs is held by a worker under contract, and tragedies like the death of bike messenger Pablo Avendano in Philadelphia last year have shined a light on these workers’ lack of protections. “The conditions we’re worried about with the future of work is really what domestic workers have been facing for generations,” Shah said. Venture capitalists, cofounders and CEOs of on-demand companies like Lyft, Handy and Instacart have called for the development of portable benefits programs. In 2017, Google launched a $50 million fund to, among other things, improve the quality of low-wage work. One of its first grantees was NDWA. Like with any app, adoption is a hurdle. In the case of Alia, cleaners have to ask clients to sign up — often a difficult ask depending on the relationship between employer and employee. It’s part of the reason only one of Diaz’s clients is signed up — she said she also barely sees most of her clients. But Shah says the Alia rollout has shown that employers generally want to help their cleaners get better benefits but don’t know how. Sharon Pollak, a social worker living in Center City who’s employed the same house cleaner for more than a decade, was alerted to Alia by her daughter and then explained the app to her cleaner. It was a “no-brainer,” Pollak said.